Ever miss the days where you could lend a PC game to a friend or family member? In the days of digital downloads and DRM it's becoming a foreign concept. 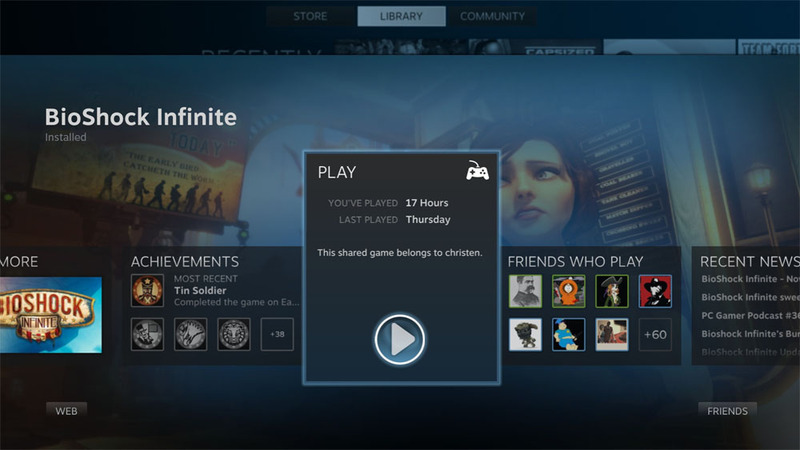 Valve seeks to change that with their Steam Family Sharing, announced yesterday. Similar in many ways to the family sharing announced by Microsoft for the upcoming Xbox One console, Steam users will be able to grant permission to up to ten devices to access and "borrow" their game libraries. They can do this by either locally enabling Family Sharing in account settings or remotely responding to a Steam user's request through email. Entire libraries must be lent, not just individual games. 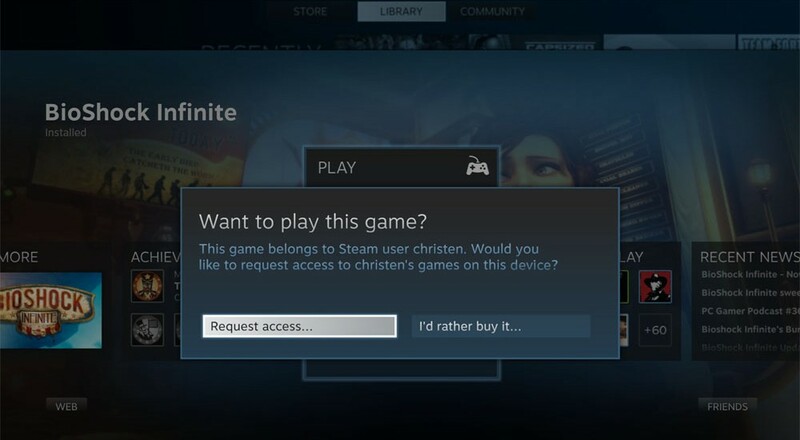 Once shared, another Steam user whose device has been granted access to that Steam library can download and play any of the games, earning achievements and storing their saves on their own accounts. As you probably expected, borrowers and lenders cannot play games from the same library at the same time. If lenders access their game library and a borrower is currently playing a game in it, the borrower will be notified and receive a few minutes to quit the game or purchase it. Likewise, if a lender is playing a game on their account, a borrower will not be able the access games from the library at that time. Also, some titles will be unavailable for sharing (such as games that require an additional third-party key, account, or subscription). Steam Family Sharing is planned to enter beta next week. If you're interested in being a beta tester, Valve urges users to join the Family Sharing Group on the Steam Community to express their interest. Page created in 0.7456 seconds.